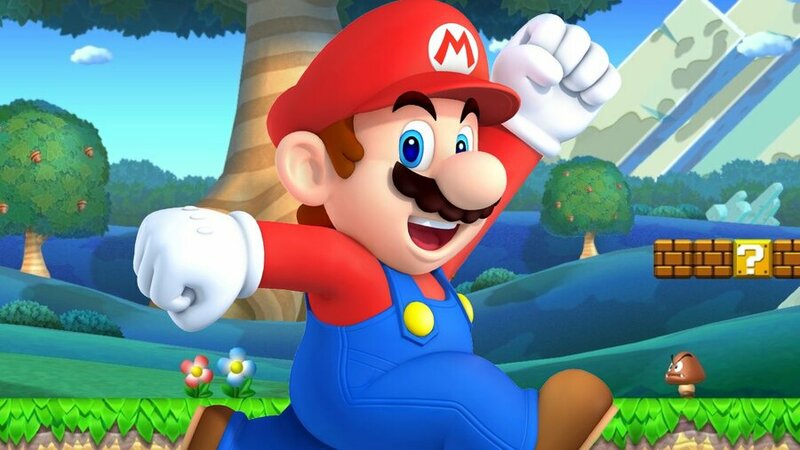 UK chart data is now in for the week ending 2nd February, with Nintendo's biggest and brightest games still clinging on to the top ten alongside continued hardware sale success. 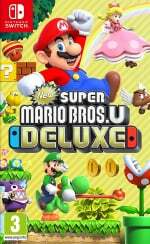 Three Nintendo exclusives are sitting in the top ten this time around, keeping a firm grip on their mid-table positions for yet another week; the Switch's most recent major release New Super Mario Bros. U Deluxe has fallen from fourth place to sixth. The chart has been taken over by new entry Kingdom Hearts III, however, which has seen sales more than double its PS2 predecessor, Kingdom Hearts II, and has outperformed last week's number one Resident Evil 2's second-week sales. Elsewhere, new entry DreamWorks Dragons Dawn of New Riders enters the charts in 38th position. Great news for Nintendo that has 3 titles in top list. UK Market is hard for Nintendo Switch. NSMU Deluxe continues to perform quite well. I assume it’s likely to be mostly evergreen Switch titles making the charts for the next month or so? I can’t think of any big new releases for Feb.
KH3 is really cringy and awkward in the cut scenes, whoever made them should be fired. Why didn't they asked professionals from Disney to direct and create those cut scenes? It's incredible that when a huge game comes out Nintendo either holds the top spot or slides down in the top 10. In two weeks they be back in the top 5. Those 3 games sticking it out is great news as you imagine most people buying MK at this point are the ones buying a switch now. Also hugely impressed with KH3 doing well. It might be a big game among gaming enthusiast press, but as a JRPG it’s niche as heck in the real world. Kingdom Hearts 2 was only 5th when it released. The DS game came in 17th in its opening week. Birth by Sleep opened in 7th. Dream Drop Distance opened in 6th. Meh, it's a mediocre list. What's impressive to me though is GTA5 holding on there. I love the idea of Mario Deluxe, but we all know it's Nintendo phoning in it's 2D Mario effort. GTA5, which I don't particularly care about, now that, that's what an evergreen looks like. Do you think Rockstar will ever stop counting Shark Cards as GTA V sales? It's pretty crazy how well Mario Kart 8 Deluxe continues to do worldwide, considering it's a Wii U port and didn't even add any new tracks. I wonder if Nintendo plan to eventually release a brand new Mario Kart game for the Switch once the sales of 8 Deluxe die down to continue the series' momentum or whether they're content to just save it for the next system. I guess this means we won't get a new Mario kart anytime soon. I would rather more DLC for MK8 anyway. Give us a metroid stage! @RickD gta5? We all know that's Rockstar phoning in its 3d crime effort. Again, completely understandable. GTA V, chip hawlay and stuff as it might be, not so much. Are we even talking about the same game? @AlexSora89 Have you even played it? Or did you only watched trailers? The cut scenes are slow and cheesy, they should fired the editors and directors for those cut scenes. I've just finished San Fransokyo, apparently the last of the Disney worlds. The animation has improved a lot since the earlier games, which weren't slouches either. It helps that most of the original movies' staffs worked together with Square to pull everything off. And between the higher number of NPCs (finally) and every other improvement, I already feel this to be a worthy conclusion to the Xehanort saga. If nothing in the game impressed you, then I don't know what to tell you. I just feel sorry for you. There was never any doubt KH3 was gonna top every list. People have been waiting for that game since the 1470s. I fully intend to play it myself, eventually. But I feel like I waited so long the pressure to play it has long passed. Maybe if, on the off chance, in a few years, Square Enix will bring the full trilogy to the Switch. Otherwise, KH3 will join Spiderman and Detroit in the small but growing pile of PS4 backlog games I have built up since the Switch launched. You could do a normal playthrough like I'm doing now, enjoy the story, then replay it to your heart's (rimshot) content. The best pace to go at is your own. I am weird in that, I find it hard enough to divide my attention between 2 games on the same device. Playing on more than one device is weirdly distracting to me. And I am not willing to set aside Wargroove and Tales of Vesperia to play Kingdom Hearts 3 right now. Cheesiness aside, Kingdom Hearts 3 and its predecessors would be a good fit for the Switch, which already runs more taxing games than Kingdom Hearts. It's a popular new title that doesn't use an unnecessarily large amount of storage. I imagine the only reason it isn't a true cross-platform release is due to the difference in timing between its project plan prior to development and the release of the Switch in 2017. Switch probably will not have a new top selling game till Yoshi. 2 months from Now. Capcom should have done with Monster Hunter on Switch what they did with RE2. Instead of the full price ugly fiasco most didn't cared about. Good result for KH3. No interest in it myself whatsoever but it’s nice that it’s doing well after so long away, and that it’s a good game for its passionate fan base. Nintendo stalwarts holding strong is a good sign. Even RDR2 can’t stop GTA V selling. I am more curious how the legs of KH3 will hold out. It feels very flash-in-a-pan to me. Good or not, I dont see it hooking many outside the initial fandom around it. Massively impressed how NSMBU is doing even being rated so poorly over the series back when the Wii U was a thing. Interested to see how good KH3's legs are. JRPGs typiclly don't have great legs, though JRPGs typically don't have Disney characters either. It sold 66,000 copies at launch. It would be amazing if they could sell another 25,000+ copies during its 2nd week. Look at GTA V hanging on there. I don't get it, man, surely everyone who has ever been interested in it owns it at this point. It has to be best selling video game of all time. @Retupmocnin I mean that's kinda just how the KH series is. I don't know if I'd call KH writing bad so much as it's written for a certain audience. Specifically, the audience that watches Naruto and uses "Rawr xD" unironically.
" I wonder if Nintendo plan to eventually release a brand new Mario Kart game for the Switch once the sales of 8 Deluxe die down..."
I don't think Mario Kart 8 DX sales are going to die down as long as the Nintendo Switch is still in production. Heck, Mario Kart 7 still managed to ship 1 million copies in 2018 despite the 3DS pretty much being dead. And Mario Kart 8 DX is selling much faster than Mario Kart 7.